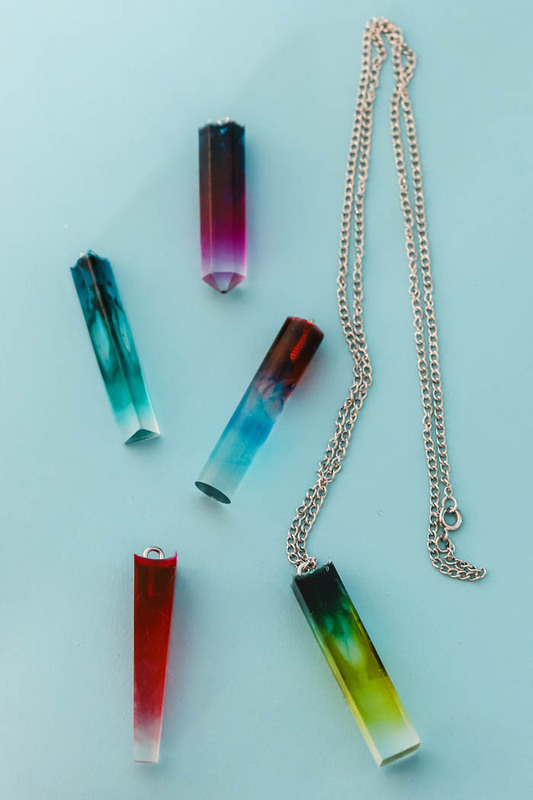 Create beautiful DIY resin necklace pendants with colorful alcohol inks. Hey Resin Crafters! Amber Oliver here with another great resin craft. 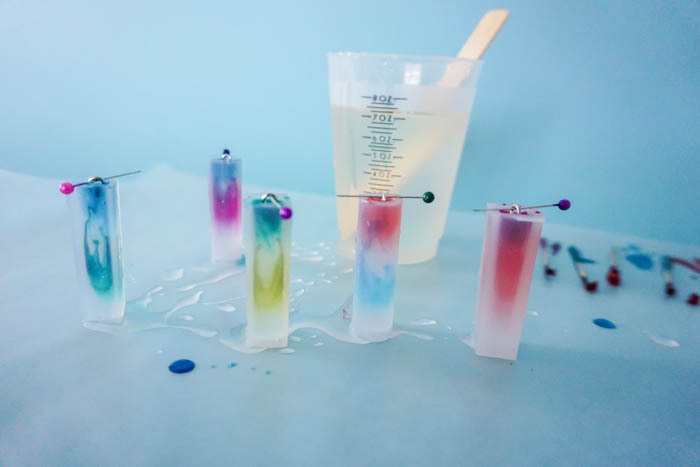 Today I’m sharing another beautiful resin jewelry project! My very first resin craft was my resin dipped earrings, and I also created some pretty cool statement earrings out of resin! 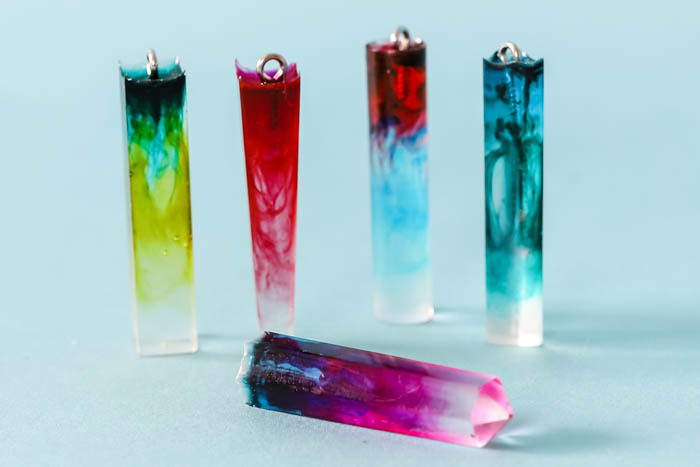 For this project, I started with EasyCast Clear Casting Epoxy and made some amazing designs using alcohol ink. 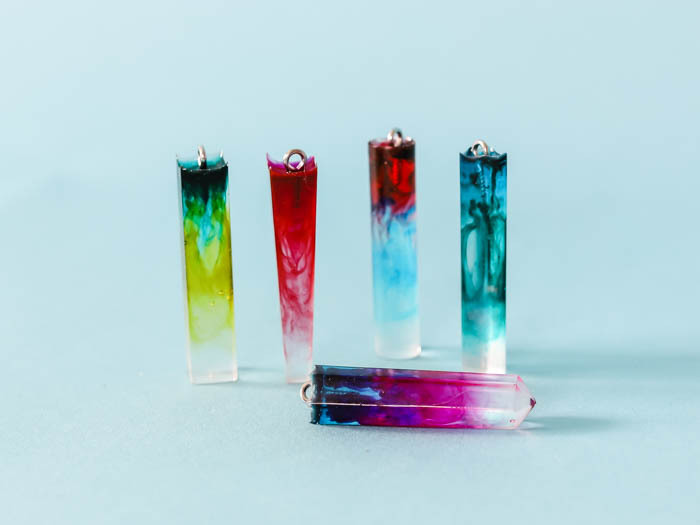 Silicon tubes made for the perfect pendants and mixing the resin with alcohol ink was a lot of fun – it’s exciting to see how your designs turn out! 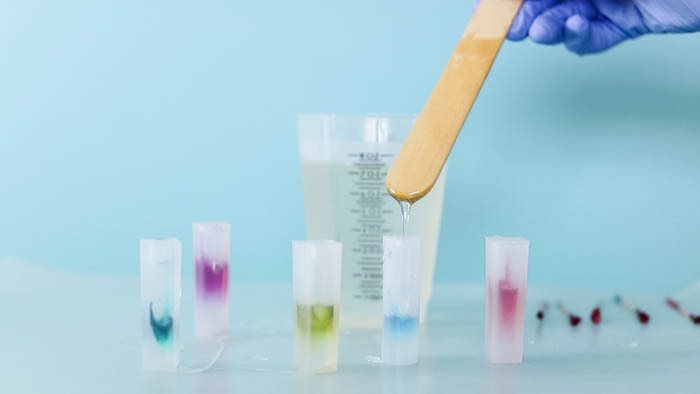 Step 3: Now it’s time to add a drop or two of alcohol ink. 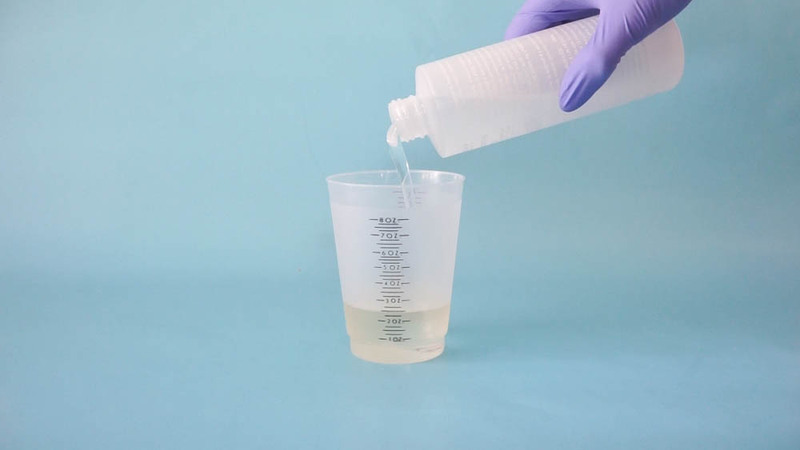 You can stir it in gently with a toothpick, or use the toothpick to press it down repeatedly. 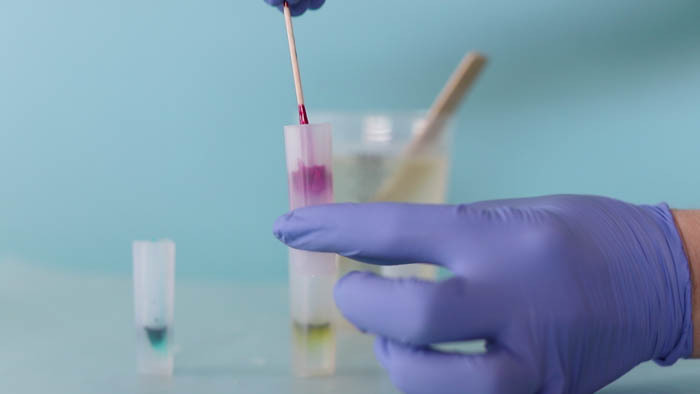 This will push the ink down into the resin and create the cool looking trails of color. Step 4: Add more resin on top and repeat the process with the inks. Step 5: Let the resin sit for about 15 minutes then insert the eye hooks in the top. I put a straight pin through the hole to help hold them in place will the resin cures. Step 6: After you’ve allowed enough time for the resin to cure, you can remove from the molds. It’s fun to try different techniques with the inks to see what sort of design you get once the resin cures! Add a necklace chain and you’ll have a beautiful, custom made necklace in a colors designed by YOU! These are so cool, Amber. I already have these molds. I may have to try these. TY for the clear step by step instructions.